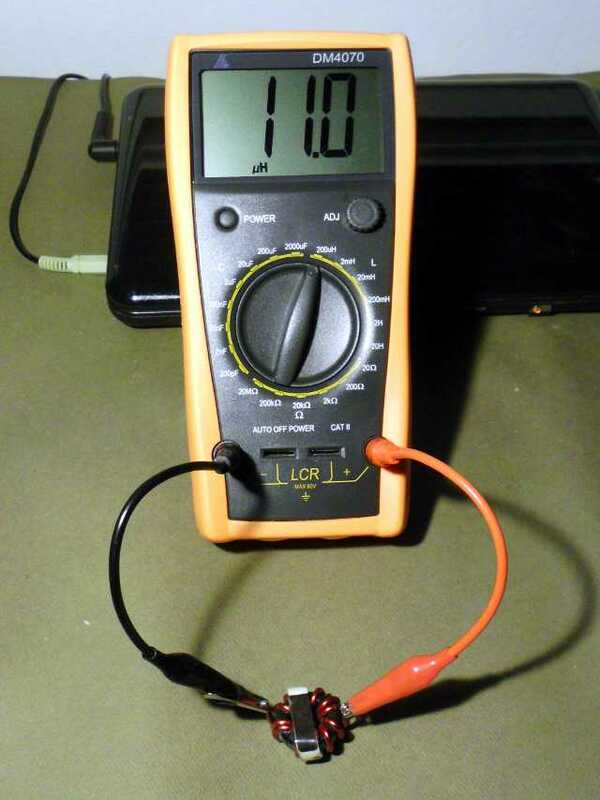 I have a need to measure home-wound inductors in the range of 10 – 100 μH (It’s for the power transfer controller of the solar bicycle). On eBay, I found quite a few “universal” 12864 testers based on the atmega328 for as low as $13. Those would measure L, C, R, as well as semiconductors. However, I could find no spec in the descriptions for the inductance measurement range. The image here suggests that the maximum resolution is 0.01 mH (10 μH) – not really good enough if I want to distinguish between, say 13 μH and 18 μH. My final choice was the DM4070. 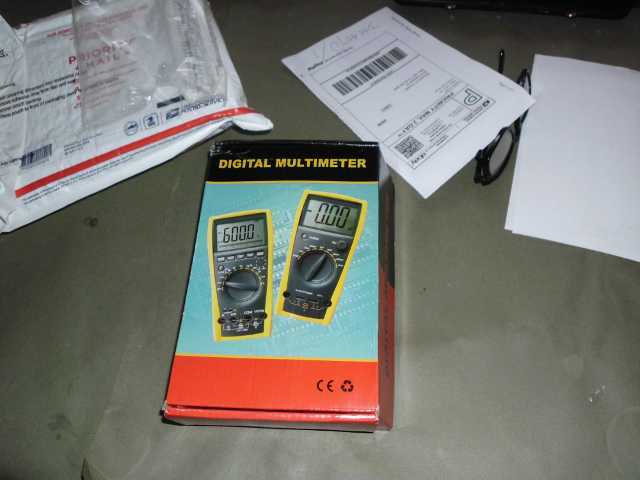 At $31.50 (US seller, free shipping), it was the cheapest LCR meter that would do what I needed. 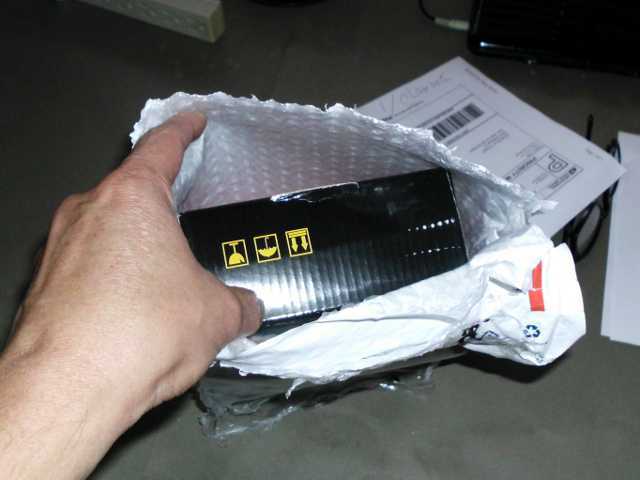 The DM4070 arrived in a flat-rate envelope. The box is generic, showing some other models perhaps that leverage the same case. Who cares, I’m probably going to recycle the box, anyway. 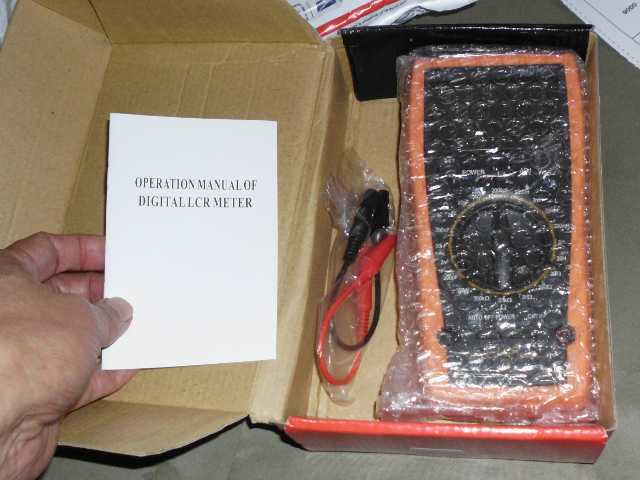 The box contained the meter, a set of short alligator clip test leads, and a poorly-written manual. Included with the meter was a poorly-written manual. Perhaps it was translated from Chinese? The translation was intelligible, as long as I used imagination. 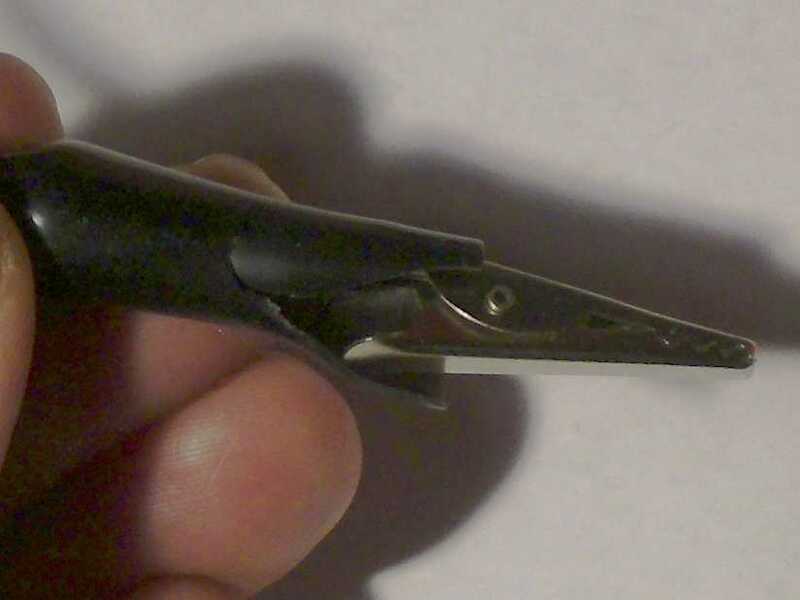 Although there was no shipping damage to the unit, one of the insulating boots on a test clip was torn. It’s still functional. There is a plastic stand that swivels out on the back to hold the meter at an angle. The plastic was so flimsy, and so difficult to pull out, that I was afraid I was opening it the wrong way. After the quick visual examination of the unit, I pressed the power button. Nothing. Maybe batteries weren’t included? I slipped off the shock case, removed a philips screw, and looked into the battery compartment. Not good. I also cleaned up the tiny bit of corrosion on the case screw, for good measure. Confirmed, the included battery is dead. I put a fresh 9-volt battery in, and the DM4070 powered up fine. 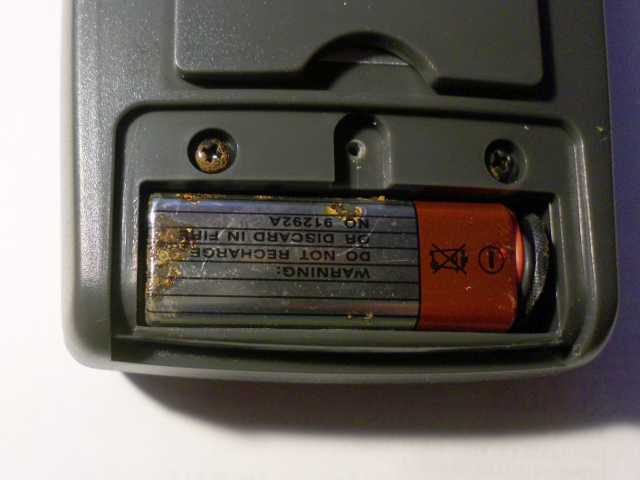 Fortunately, none of the chemical leakage from the battery appeared to have gotten into the actual device. I’m wondering: does the DM4070 go through batteries quickly? It’s supposed to automatically sleep after being idle for a few minutes, but I haven’t personally witnessed this behavior, yet. I’ve been turning the meter off after every use. My first measurement was of a known inductor. 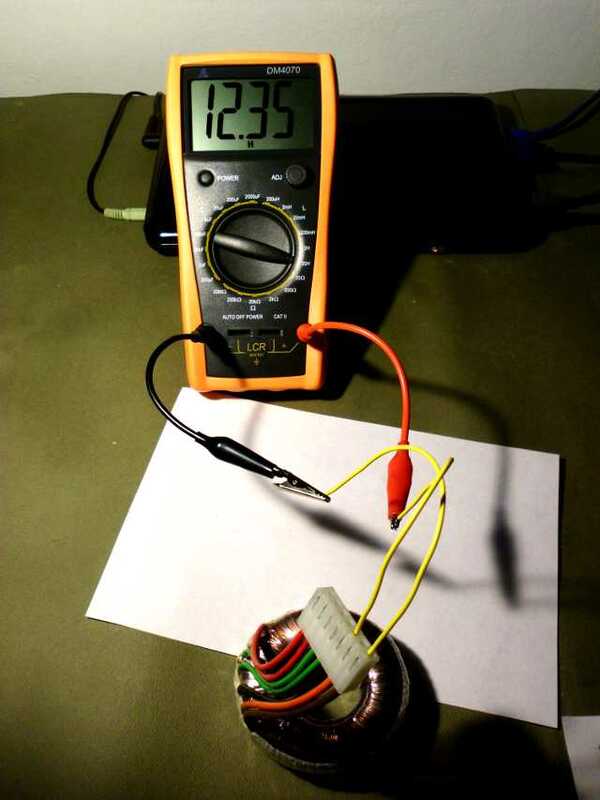 I first shorted the test leads together to determine the lead inductance. Actually, the operation manual says not to do this, but I think that warning was intended for capacitance measurements, or perhaps to save power. Before doing a low inductance measurement, I shorted the leads to see what their inductance would be. 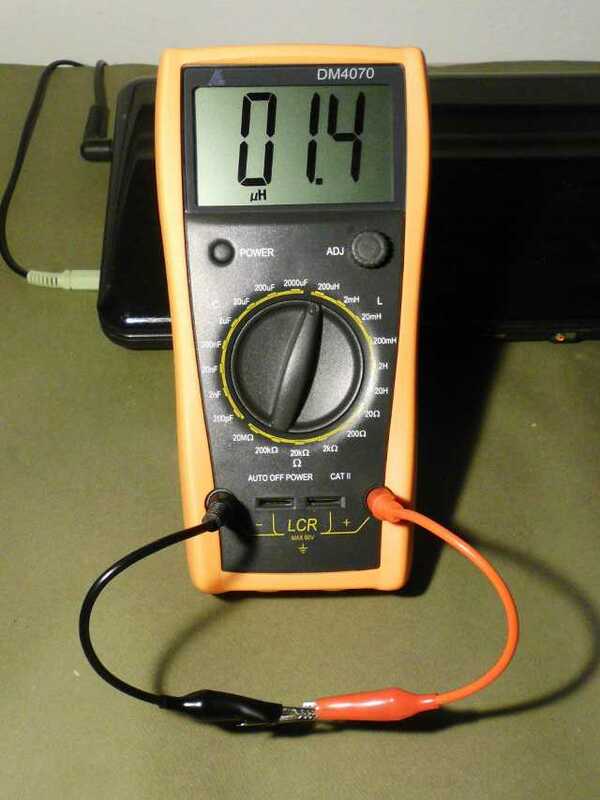 After accounting for lead inductance of 1.4 μH, the measurement of this HL-KK110U/BC 10 μH inductor was spot-on. The 220-volt primary of this torroidial transformer was over 12 Henries. Next, I measured some capacitors. I tried a few and found the measurements to be mostly good. Possibly the measurements of high value capacitors were a little low. 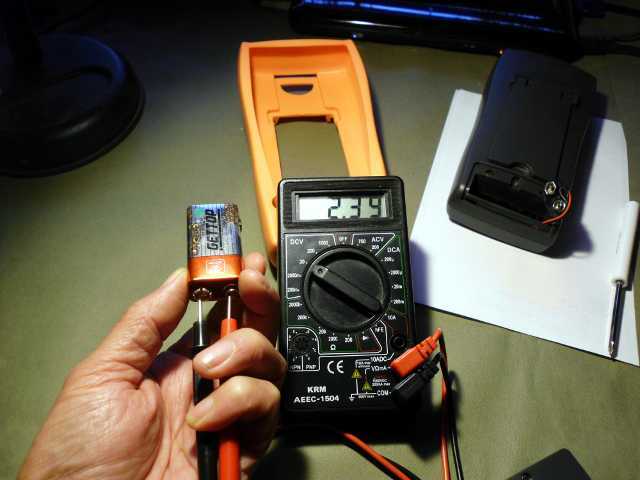 The DM4070 reported my 1000 μF capacitor as being 953 μF. I might have chalked that up to component tolerance, except that I had measured that lot of capacitors previously with my a test jig of my own design, and believed that they were more like 1100 μF. There’s a trim knob to null out test lead capacitance. It only applies to capacitance, however. For inductance and resistance, the user must mentally compensate. There are integrated slots which are supposed to accept direct insertion of components. The clips are too narrow to take a wire larger than about 16 gauge, yet too loose to hold most component leads firmly. Shown above is a 470 pF capacitor reading as 0.6 pF, until I jiggled it to make contact. It’s usable, but if there was one change I could make on this meter, it would be to substitute a higher quality clip. 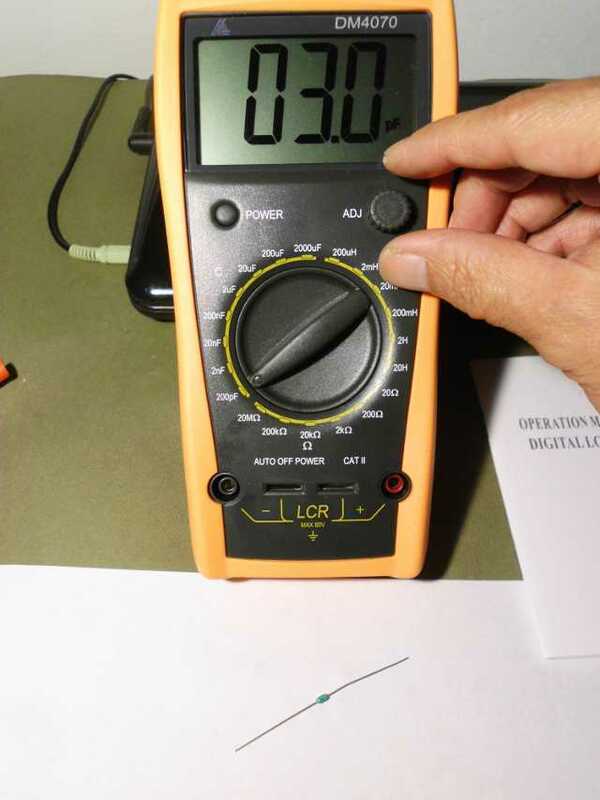 Finally, I measured some resistors. The readings were quite accurate, except on the 20 MΩ range, where they seemed to read 5% high. Some of it might have been component tolerance. 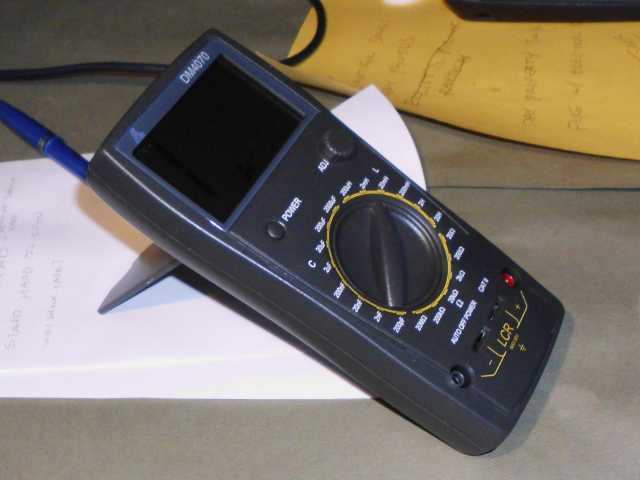 Actually, I’m pleased to have a 20 MΩ range at all – cheap digital voltmeters often top out at 2000 kΩ (2 MΩ). 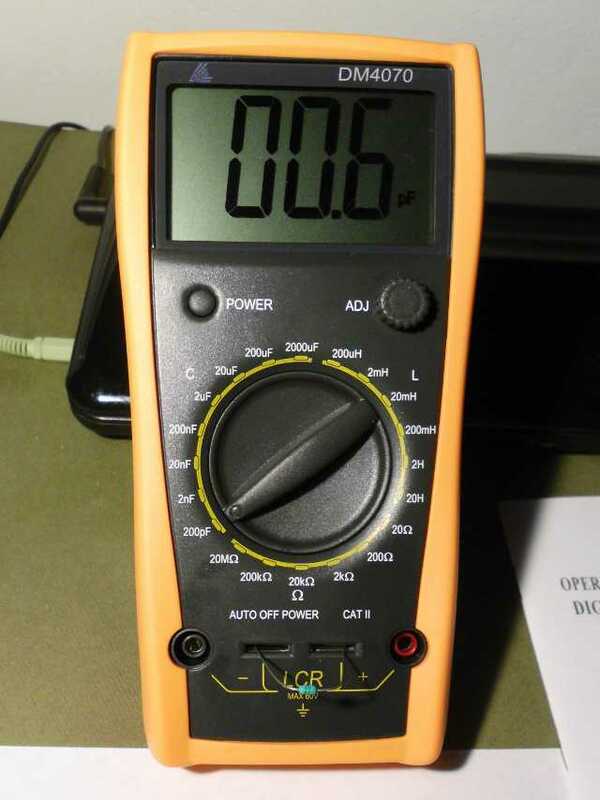 The 2 MΩ range is actually missing on this meter, so if you need to measure things in the hundreds of kΩ with precision, this is not the meter for you. One thing that I noticed is that on the high value ranges, the readings took a few seconds to settle to a final value. This is fine, as long as one knows to wait.